Although the overarching objective of Lean management is to create an unhindered flow of value to the customer, another of its primary concerns is transparency. If you can see roadblocks, process irregularities, resources that aren’t at capacity, and poorly aligned goals you can do something about them. That’s why so many Lean tools are designed to allow visual management. People process images much more quickly than text (knowing what’s going on around you is somewhat central to staying alive), that’s why icons, signs that use color and shape, and dashboards are so popular. 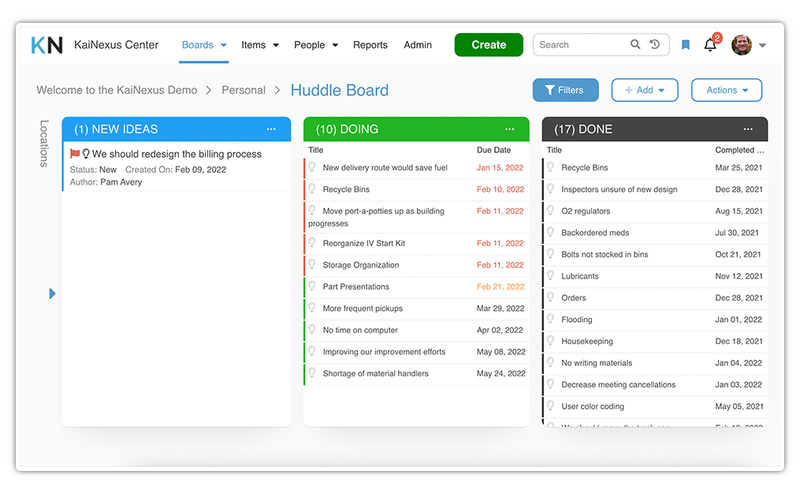 Over the years, many valuable tools for Lean visual management have evolved. They offer significant benefits for leaders and team members alike. Here are a few that we’re sure your team will appreciate.